Few days back my classmate and I decided to check out this Hometown Kopitiam, it located at The Curve. 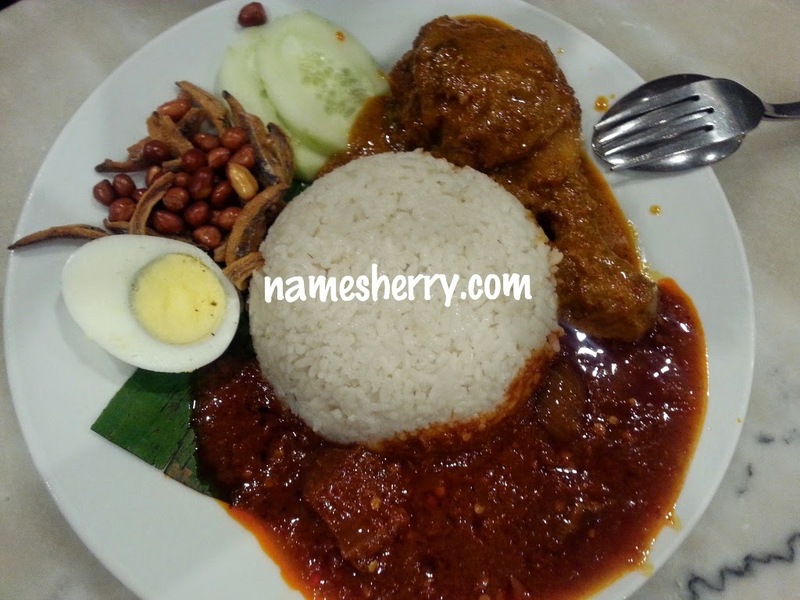 My classmate ordered the above Nasi Lemak Rendang Chicken, it was weekday special on the day. RM8,90. My classmate ask for extra sambal during the order as she loves spicy food. The night after the movie, she's saying in the car hurry get back home because she needs to go restroom. Well, you know it once you get too much spicy, you'll need to go restroom. So do I, the next day. As for me, I decided to try the Asam Laksa. RM9.90. 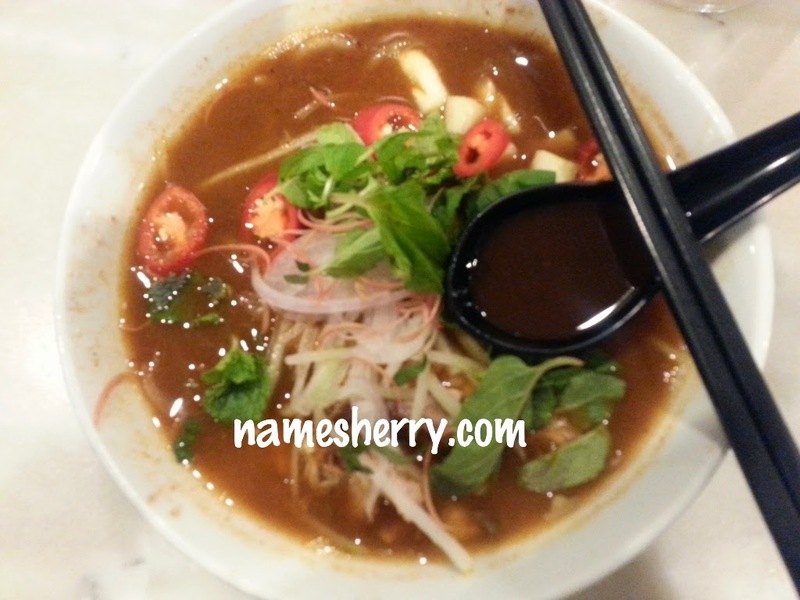 I like my Asam Laksa, and I am going back to dine at this kopitiam for sure. The taste simply delicious and just the way I like it. We were looking for meal below RM10, just nice we walk a few restaurants and found this to try.